Finally, YouTube gets in on the trend of hashtags. 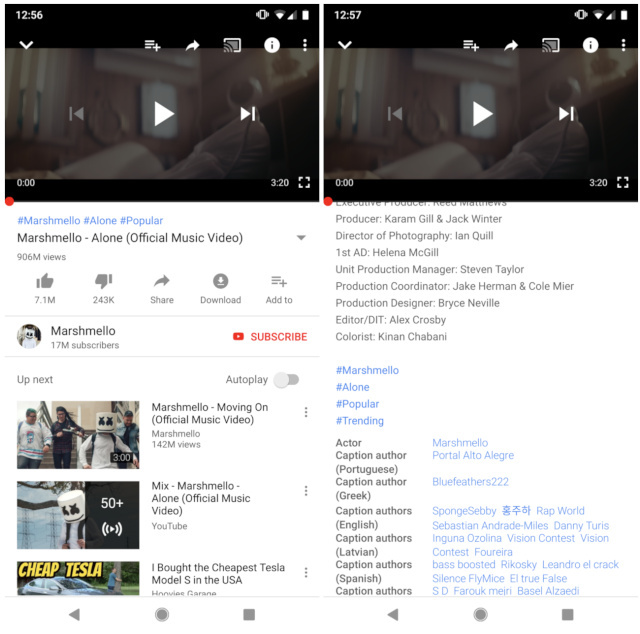 You might associate this feature with Instagram, Facebook or Twitter more often, but now YouTube also provides the option to upload a video under certain hashtags that will help the viewers and the channel owners to find their content within seconds. Just like other sites, these can be clicked and they will show a results page with all the related videos with that particular hashtag. The site will even show the top 3 hashtags between the video and its title. Google’s support page gives out a detailed description regarding the rules of this feature. YouTube prohibits the creators from including false or misleading tags, also, the ones that may harass an individual or a group of people. Anything that is violent or hateful and explicit or sexual will be strictly not allowed. YouTube threatens to pull those videos down that don’t follow the rules. The feature is yet to be released completely as some users still don’t get this option. It's available in some places on Android, but the feature’s release on iOS is still skeptical. This feature will help make your video selection easier while promoting the trending videos better. It will benefit the viewers as well as the creators greatly in this aspect. Now all we have to do is wait for the feature to be completely developed and released throughout.